roots and mission of providing meaningful mentoring experiences to children in Queens. 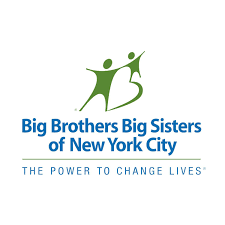 Big Brothers and Big Sisters is among the nation’s oldest and most well-known youth mentoring programs, and it got its start here in New York City in 1904. Since then, the agency has continued to carry out its mission of giving all children in NYC who face adversity the opportunity to experience an enduring, professionally-supported, one-to-one mentoring experience with adults that will help change their lives for the better. BBBS NYC opened their Jackson Heights office, at 82-11 37th Ave, in January 2016, and since then, Jenya Walters and co. have helped the agency to service over 5,000 children in the city each year. In bringing the office to Jackson Heights, Walters and BBBS are expanding into the borough for the first time, and are seeking to establish the agency’s commitment to Queens. Having the office here in Jackson Heights places Walters in a community with strong intergenerational ties, making it ideal for recruiting volunteers, which is often the biggest challenge for Walters and her team.